AMD reveals new Quad Core and Six Core Processors. AMD recently launched its new Fusion based chips for notebooks and smartphone devices and now its focusing on releasing newer desktop processors which include Quad Core and Six Core Chips. 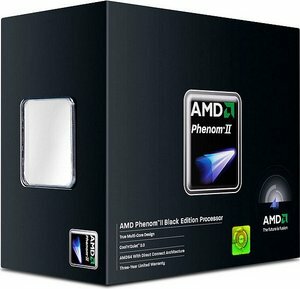 First up are the new additions to the Phenom II line which include the 3.6GHz Phenom II X4 975 Black Edition and 2.9GHz Phenom II X6 1065T processors. The former one being the AMD’s fastest quad-core processor to date and a latter one which would deliver higher performance at a TDP of only 95W and feature the AMD’s latest Turbo CORE technology. The Phenom II X4 975 includes all the standard features of the quad-core Phenom II line: 45nm Deneb cores, 4x512K L2 cache, 6MB L3 cache, 125W TDP, an unlocked multiplier for more overclocking potential. The price set at $195 making it only a few dollars more than the 970BE. While the Thuban-based Phenom II X6 1065T is now AMD’s fastest sub-100W hexa-core chip making it price set at a 200-230$ level. Not only this but AMD also plans to add a new product to its entry-level quad-core range with the introduction of the Phenom II X4 840. The chip would be based on the Propus core and will feature 4x512K L2 cache and no L3 cache with a TDP of 95W. Price of this entry level Quad chip would be 100$.